What is information architecture? Information architecture (IA) is a broad and abstract term. At the most general sense the information architecture describes the structure of a system, how the different pieces of information are related at the system and represents their relationships. The information architecture term was introduced by Richard Saul Wurman in 1975 and now is commonly used in the context of websites and intranets, information structures and computer systems. ConceptDraw DIAGRAM extended with Enterprise Architecture Diagrams Solution from the Management Area is the best software for design information architecture and drawing Enterprise Architecture Diagrams. Example 1. What Is Information Architecture? What Is Information Architecture? 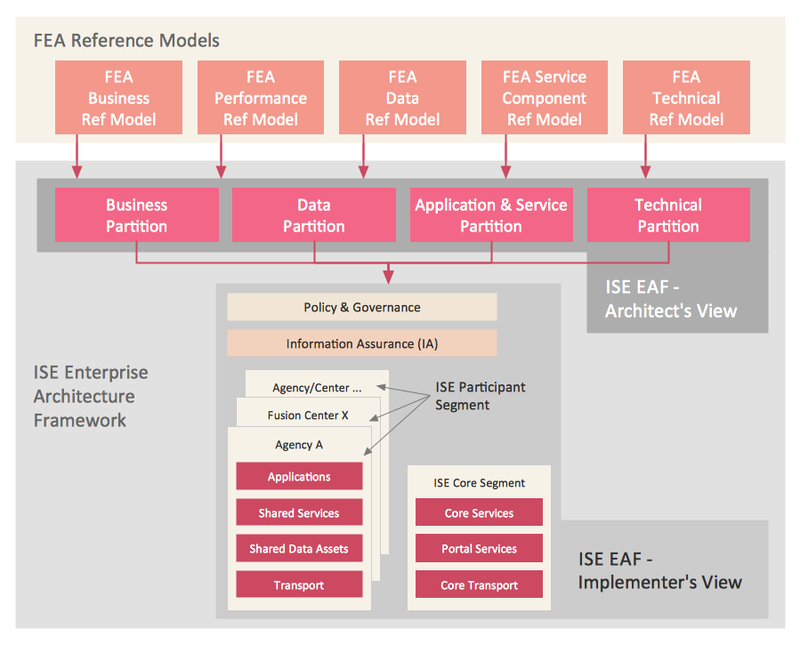 Don't miss the chance to use templates and samples included in the Enterprise Architecture Diagrams Solution to explain this term to the colleagues, students or interlocutors. All templates and samples are available for viewing and editing from ConceptDraw STORE, and also can became the good start and source of inspiration for you. 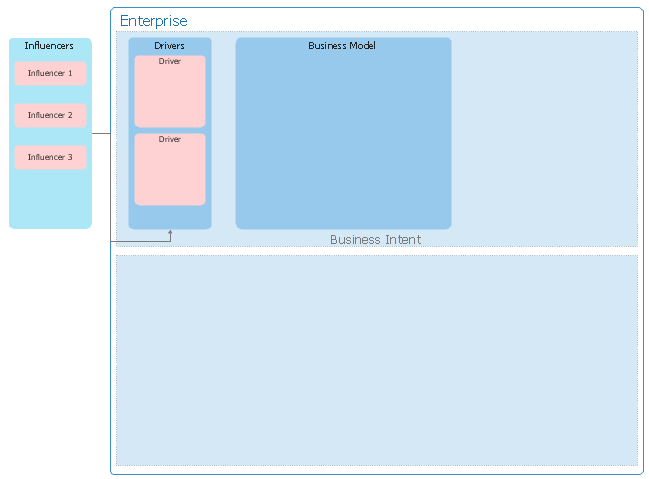 This Enterprise Architecture Diagram template was created in ConceptDraw DIAGRAM using the Enterprise Architecture Diagrams Solution and is included to this solution. It is available from ConceptDraw STORE and can be used to quick and easy design the diagrams explaining what is information architecture. All source documents are vector graphic documents. They are available for reviewing, modifying, or converting to a variety of formats (PDF file, MS PowerPoint, MS Visio, and many other graphic formats) from the ConceptDraw STORE. 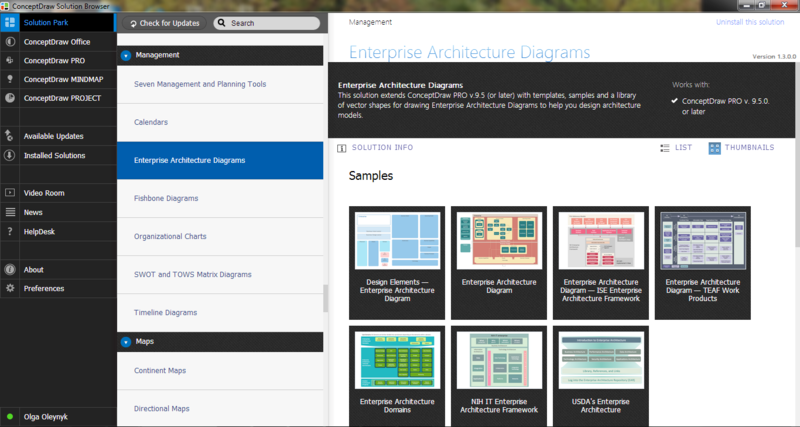 The Enterprise Architecture Diagrams Solution is available for all ConceptDraw DIAGRAM or later users.